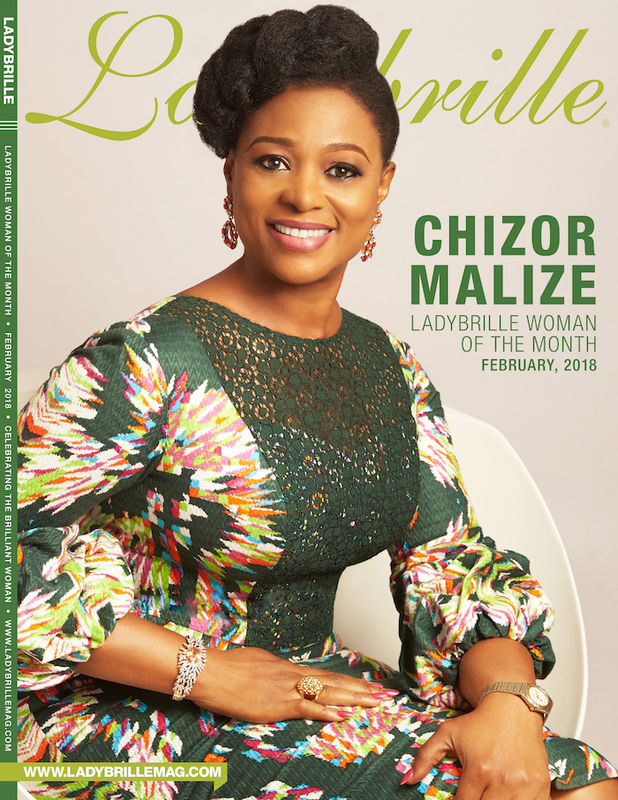 Chizor Malize, Ladybrille Woman of the Month for February 2018, is the Managing Partner and Chief Executive Officer at Brandzone Consulting LLC – a globally inspired multidisciplinary branding and marketing consulting firm founded on the premise to help organizations creatively and innovatively align their branding and marketing strategy to their business and profit goals. Malize has close to two decades of experience in branding and marketing management and is passionate about helping organizations maximize their branding and growth potentials. As the Chief Executive Officer of Brandzone, She has had the opportunity and responsibility of managing several international brands in her local market (Nigeria) while creating and managing indigenous new brands (corporate and products) for businesses and corporations. Among these portfolio of brands include BMW, Range Rover, Qatar Airways, Falcon Oil & Gas, Heritage Bank, Access Bank, Coscharis Group, First Ally Capital, Personal Trust Mfb, FBN Capital Asset Management and Fidelity Bank. Her deep and extensive experience in Branding and Marketing span across diverse areas such as Branding, Advertising, Communications, Public Relations and Digital/NewMedia. Most notably prior to founding Brandzone, she worked for over a decade building and managing notable brands such as ValuCard, Standard Trust Bank which she led the rebranding to United Bank of Africa and Access Bank Plc respectively. She holds a Bachelors degree in English Language and a Masters degree in Business Administration with specialization in Marketing. She is a professional member of the Chartered Institute of Marketing (CIM), London and an Executive Alumni of the London Business School and Columbia University, New York. She is also a prolific speaker both locally and internationally and facilitates Marketing, Branding and Leadership courses at reputable institutions of learning. The ‘Ladybrille Woman of the Month’ is a feature on Ladybrillemag.com that celebrates women who empower themselves and others through their contributions and actions in their local and international communities. These women are intelligent, courageous, confident, and innovative. They strive for balance in their personal lives (whether emotionally, mentally, and spiritually), are persistent, and when they fall, they get right back up. These women honor and stand in their truths. They are business and community leaders, visionaries, trailblazers and game changers. They are our sisters, aunties, mothers, friends and so much more. They are “Ladybrille” (brilliant) women. A running feature for 12 years on Ladybrille.com, The ‘Ladybrille Woman of the Month’ celebrates women in business and leadership, who empower themselves and others through their contributions and actions in their local and international communities. In 2014, the feature expanded to include a podcast show. 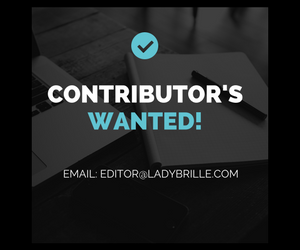 If you would like to nominate a woman to be celebrated, please email editor@ladybrille.com.